As Yacine Brahimi’s contract with Porto expires at the end of the season, we can expect a lot of rumours about the player’s future from now on. 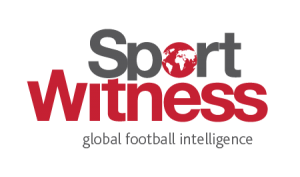 The Algerian international has been linked to the Premier League for a few years now, so it won’t be a surprise that a list of English clubs will be involved in these stories. This Wednesday, Portuguese outlet A Bola brings an article highlighting the interest from AC Milan in the player, saying the Rossoneri should soon start negotiating to sign him for free. 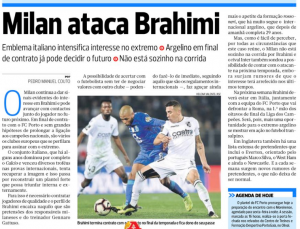 But the newspaper says Milan shouldn’t be alone in the race, since Everton, Newcastle United and West Ham United are all interested in Brahimi as well. A Bola doesn’t seem to know how advanced the negotiations with any of these clubs are, partly because there’s a long way to go until Brahimi is finally ready to commit himself to a new club. Brahimi has nine goals and six assists for Porto this season. The Dragons used to demand €60m for his sale, and now could end up empty handed.